Dynamic characteristics of physical systems in frequency domain can be described with the use of Fast Fourier Transform, that is also referred to as the frequency response characteristics of the system. In most cases, the frequency response of the system is represented by a complex frequency function, that is described by amplitude characteristics (module) and phase characteristics (argument) of the system. If a harmonic signal is applied to the system input, then at the output of the system (upon completion of the transient process) there are formed harmonic oscillations with the same frequency, but different amplitude and phase values, that can be used for evaluation of system’s dynamic properties. Phase is one of the additional functions of the program Cross narrowband spectrum, which allows to control the phase characteristics of the system, which is exposed to the impact. 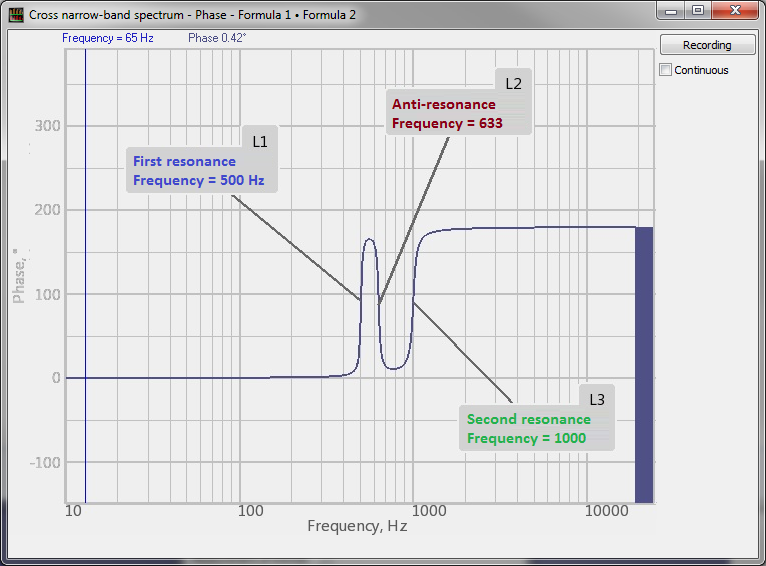 In order to activate the Phase program window, click Options key in the Cross narrowband spectrum program. 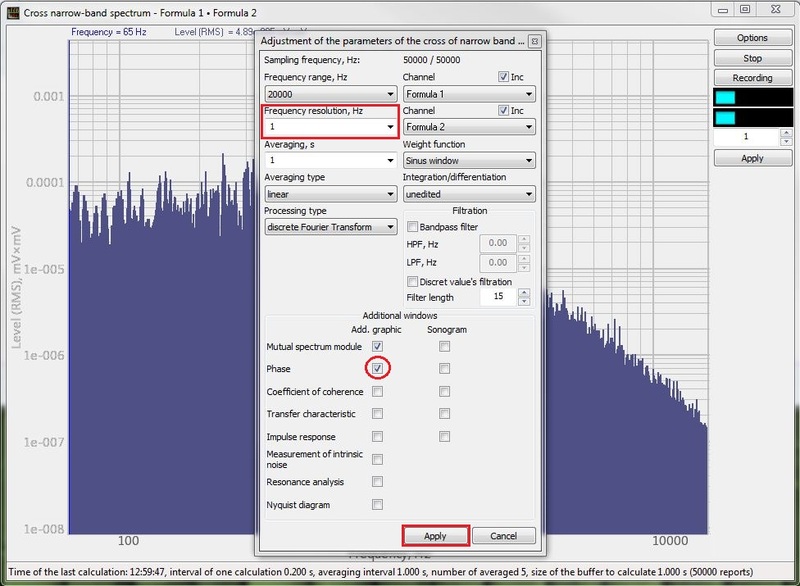 To enable additional graph with signal phase, go to section Additional windows and check the option Phase in the Additional graph column. Please, note, that in order to ensure proper graph plotting, it is necessary to set frequency resolution value not more than 10 Hz. Upon completion of parameters configuration, click Apply key – you will see a dialog window. The graph can be saved in *.dtx format by clicking Record key in the top right section of the dialog window.